JUDY VALENTE, correspondent: Seventy-eight-year-old Sister Phyllis is near death. Over a period of three days around the clock, the sisters have been taking turns keeping vigil at her bedside. 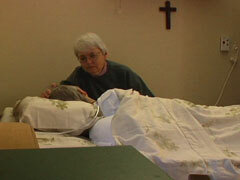 SISTER ANNE SHEPARD (Prioress of Mount St. Scholastica): In our monastery, sisters do not die alone. We stay with the sisters night and day, so that they know, they’re comforted by the fact that they joined a community, and as community they’re going to go home—the real home that we’ve been waiting for. VALENTE: The sisters of Mount St. Scholastica die much as they live—peacefully, prayerfully, and surrounded by community. It’s a way of life that Benedictine monasteries have shown the world for more than 15 centuries, and it’s a message that still resonates. SHEPARD: When I look at the condition of the world today, I see a world where there’s violence, one where there’s greed, one where there’s selfishness. But also one where there’s a craving for a rejuvenation of family life, a rejuvenation of spiritual life. It speaks to me of the need more than ever of a monastic presence in this world. VALENTE: Monasteries such as this one stand in contrast to the prevailing culture. They value community over competition, service over self-interest, and in a world of Internet, cell phones, and 24-hour talk, they stress listening and silence. SHEPARD: It’s a way of life here. It’s an absence of noise and clutter, and we come together first, and we’re just silent. We’re in the presence of God. It’s not a deadly silence. It’s a very reverent and beautiful silence. We don’t need noise to be productive. It’s just the opposite. We don’t need noise to communicate. It’s just the opposite. Monastic life is a life of living together in prayer and community. We as Benedictines, we monastics—we’re not founded to do a particular work. The particular work of a monastery is community, and believe me, that’s hard work. Living with 165 women is hard work. Sister saying grace at mealtime: Ever faithful God, bless the food we are about to eat and unite us in mind and heart to your son, Jesus Christ our Lord. SHEPARD: The common table is central to who we are. You listen, and you listen with the ear of your heart. You listen with what’s inside you. That’s what it means to be a listening person, and that’s going to happen in the dining room. VALENTE: Sister Anne says these and other practices at the monastery can be applied to family life and even to the professional world. SHEPARD: You bring in everybody into a decision and learn from the newest members, as well as the wisdom of the older members and everything in between. So you have prioresses and former prioresses and PhDs in English and math doing dishes along with those that just entered, that don’t have those same higher degrees. That’s a radically different way than a top-down way of doing business. VALENTE: The monastery reflects a spiritual way of life, but one that also contains practical wisdom. SHEPARD: A major countercultural difference is that we hold things in common. That is a major thing, that it’s not the greed, that if I have a computer, if I have a laptop, it’s because it’s for the use of the community. For us, the less we have the more single our purpose. We don’t need things. We need the gospel call, and we need one another. Sister teaching money management class: Budgeting is simple but it will bring, you know, a little bit of the peace of mind to your house. Sister teaching language class: Out? Ought. Ought? Ought. VALENTE: …and provide child care for mothers taking classes. Others work in the medical profession or in massage therapy. Until recently, one was even a firefighter; another, a funeral director. But the most important work of the monastery is prayer. SHEPARD: We use the words of the Psalms and of the scriptures that nurture us, that give us life, that give us meaning. Our life is about seeking God together and bringing that God into our hearts. It’s so profound, it’s hard to even explain. But it’s the daily-ness of the prayer. It’s that we need the prayer. VALENTE: Monastic life began to flourish after the fall of the Roman Empire. Men and women retreated to the desert to live solitary lives of prayer and penance. In the sixth century, Benedict of Nursia, known for his spiritual wisdom, left the solitary life behind and founded communities where like-minded individuals could seek learning, find security, and live a life of prayer. Today, every monastic order in the world, whether Benedictine or not, follows Benedict’s model to some extent. A young woman comes to the monastery for music lessons from Sister Joachim Holthaus, a composer. Ever since the time of St. Benedict, monasteries have been important centers of learning and culture. This is Sister Paula Howard. Eight years ago, at age 77, she discovered her talent for creating icons, which the monastery then sells. She’s done nearly 200. SISTER PAULA HOWARD: Well, I think all appreciation of beauty lifts your heart—that beauty belongs here. It’s a foretaste of heaven, we hope, and I just think that beauty is an image of God. VALENTE: Both artistic beauty and the beauty of nature. SHEPARD: A contemplative life is being in tune with the spirit, in tune with nature, in tune with creation. It’s a communion with all that is around you. It’s a sense that everything we do is significant—the way I plant a garden and care for the garden. Everything that we do has meaning, and it has meaning because we’re intentionally trying to be more prayerful. You can live a contemplative life outside of a monastery. As a matter of fact, that is our hope, that people can come here and find a sense of peace. VALENTE: The sisters earn some income by offering spiritual retreats. These high school girls are spending several days here. The monastery has 70 lay employees and an annual budget of $4 million. Most of it goes toward operating a nursing care facility for elderly sisters. 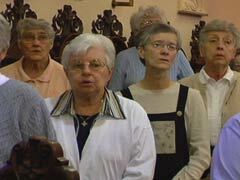 The monastery also receives donations and bequests and government funding for its nursing home. Another source of income: the salaries of sisters who do outside work, like Sister Mary Palarino, a clinical social worker. VALENTE: You could do this work as a lay person. I’m wondering what you think being a sister brings to this. SISTER MARY PALARINO: You know, I really don’t think I could do it as holistically and as comprehensively unless I were a member of my community and living the Benedictine way of life. 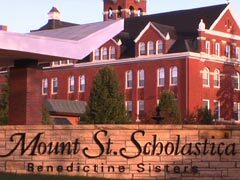 VALENTE: Mount St. Scholastica is nearly 150 years old. Some 2,000 women religious have passed through its doors. Today the vast majority of the sisters here are over the age of 55. PALARINO: I do get concerned about people not joining us, and I don’t understand that, I mean, because it seems like young people today are—they seek, and they have a hunger for community, for prayer life, for social justice issues. They have a hunger, you know, to follow something greater. We have that. SHEPARD: Where it’s going to go in the future? It’s going to go wherever God takes us. We’re going to be smaller. We’re going to be just as vibrant. But it’s not easy. Any genuine commitment isn’t easy. That gift of unselfishness is the reason we make a promise to be faithful for all our lives, every day of our lives. 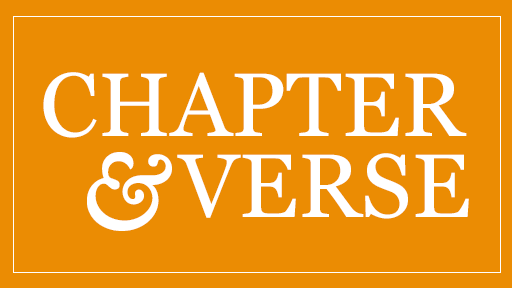 VALENTE: These sisters believe that as long as there is a need in the world for quietude, simplicity, balance, prayer, and community, there will always be a purpose to monastic life. For Religion & Ethics NewsWeekly, this is Judy Valente at Mount St. Scholastica in Atchison, Kansas.